The experience of growing up at the dawn of the video and computer game age is one that I know all-to-well. Video games and computers exploded at the end of the 70’s and have became an increasingly larger part of daily life ever since. However, while video games and computers are accepted as main-stream in 2017, that was not always the case. There was a time, not too long ago, when the world was not necessarily convinced about the transformative nature of electronic entertainment and communication. As my dad used to tell me, “the struggle is a much more interesting story than just the victory”, yet it seems that this particular struggle is sorely under-represented on the book shelf. The book Extra Life By David S. Bennahum is a great little book that takes this struggle to heart. It is both a memoir and coming-of-age story set dead-center in the golden age of video and computer games. The author grew up on coin-op video games, and for his Bar Mitzvah received the greatest gift any kid could have received at the time: An Atari 800 computer. Bennahum digs into the true feelings of kids at the time that suddenly found themselves owners of a wonderous new toy: a home computer. He details his own exploits with software, programming, and the social aspect of being a computer user (read: geek) in the 80’s. Some of the most compelling content comes later in the book, when Bennahum describes his time in high school computer classes. Anyone who took a computer class in high school in the 80’s will instantly recognize the little “kingdoms” created by teachers and students alike. Bennahum expertly paints a picture of the high school computer lab: a place whose denizens want nothing more than to live in an electronic world of their own making, be damned the world outside. The fact that this “world of their making” would one day become mainstream and move beyond their wildest expectations makes the story even more compelling. 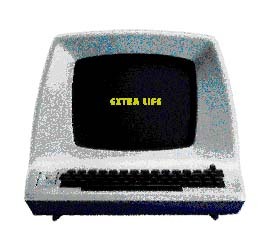 Extra Life was published almost 20 years ago, just as the World Wide Web was tightening it’s grip on the computer world. I suppose that this might be why it was not extremely popular when it was first published. The future was at hand, and this book was anchored to the past. However, in 2007, with the web 10 years in the mainstream, and the craze for it still unabated, books like this are important. They show that while technology might be different, people stay pretty much the same. The same obsession and power mongering that permeates the Web 2.0 world today, existed in the 80’s, but in a much more limited form. However, so do the immensely positive aspects of the medium. The power of discovery of, learning with, and programming a computer has only become more powerful in the 21st century. As the news media clings to increasingly negative stories of the world wide web, it’s good to read something that reminds us of the uniquely transformatative power of the digital world.